The EX-F01 is the ultimate field tool packed with features. 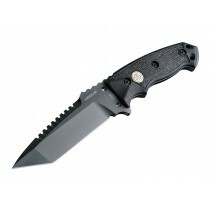 With its thick tool steel blade and integrated skull crusher the EX-F01 is ready for all tasks. Additionally, the broad point in front of the false edge provides extra strength to the tip and a large land for batonning. The weight of the EX-F01 provides ease of chopping and improved penetration. 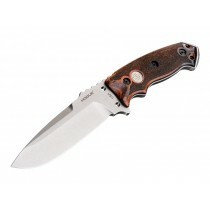 The 3D sculpted scales provide the user a comfortable grip while performing strenuous cutting activities. 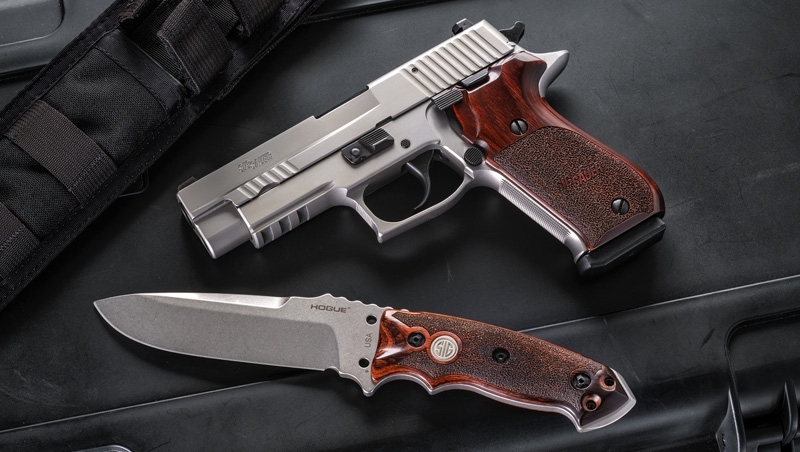 To complement the grip, the blade includes a serrated thumb-ramp and finger detent in the frame. The EX-F01 has an integrated hidden compartment in the frame which is accessed by using the supplied wrench.